Every year Anchor Bay has put out a Limited Edition version of the latest Walking Dead season set that includes a statue of the most memorable Walker seen during that season. What exactly do they do for Season 6? This time, zombie-wise, they went for quantity over quality. It’s hard to think of a particular one that comes to mind, aside from the nasty Sewer Swamp Thing Zombie that Maggie briefly got her hands stuck inside. Today Anchor Bay revealed the next Limited Edition statue, and it’s…the Walker that was stuck between the trucks blocking the rock quarry. Remember that guy? Maybe not, but he remembers you — he’s waving. Truck Walker is also on the cover of the Limited Edition, which Anchor Bay will sell for $149.99 in November 2016. 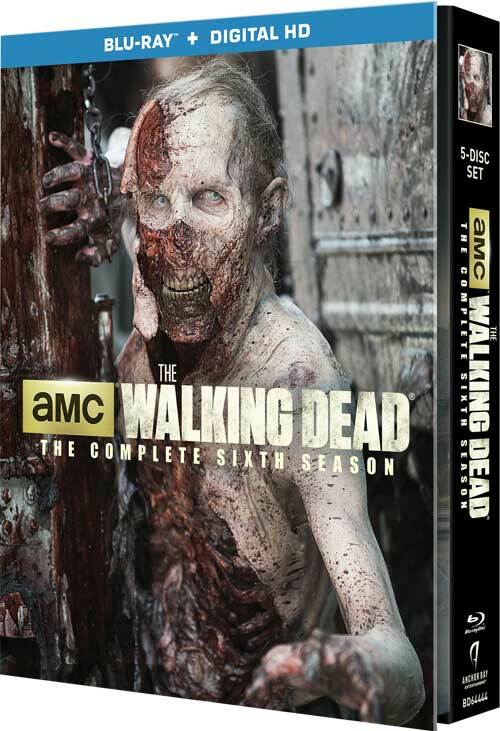 One of the most highly anticipated annual traditions for “The Walking Dead” fans all over the world, Anchor Bay Entertainment will be releasing THE WALKING DEAD: THE COMPLETE SIXTH SEASON Blu-ray+Digital HD Limited Edition set November 2016. McFarlane Toys has done it again, creating a striking, must-own packaging concept. 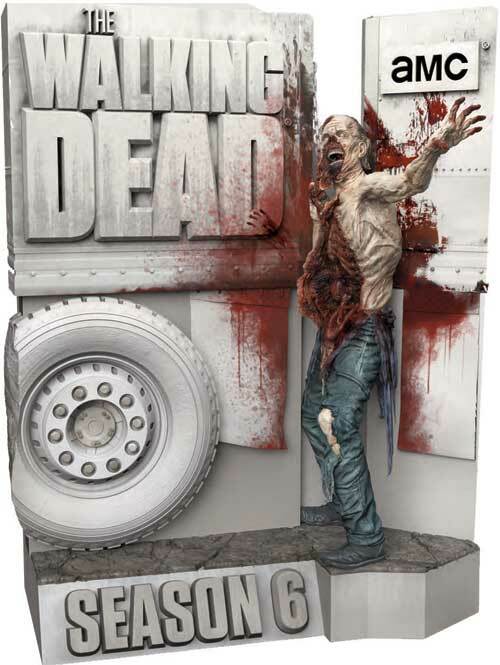 This year’s Limited Edition features the “truck” walker, from the infamous rock quarry in the very first episode of Season 6. Handsomely crafted and intricately detailed, the figurine is based on the original walker designed by award-winning SFX make-up Supervisor and Executive Producer, Greg Nicotero. Packaging also includes a collectible 5-disc Blu-ray set digipack with exclusive “walker” cover art available only with this set. SRP is $149.99, and available for pre-order now on Amazon.com.